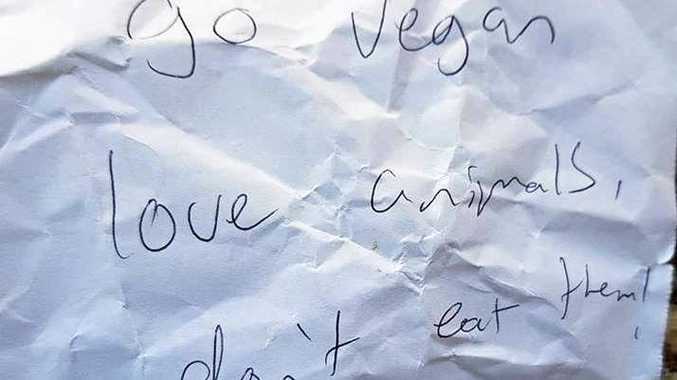 A MYSTERIOUS letter encouraging veganism has been dropped in mailboxes of Clinton residents sparking community outrage. Local Hannah Dobbin received the bizarre note in her mail box yesterday at her Hill Close Estate home and said she didn't see the point. "I see the good in the lifestyle they choose and respect that but I hate having people telling others who they should be and what they should do," she said. "If someone was wanting to promote their lifestyle to help others or to save animals then I believe they should do it with more information on the subject instead of wasting the paper and telling people to go vegan." 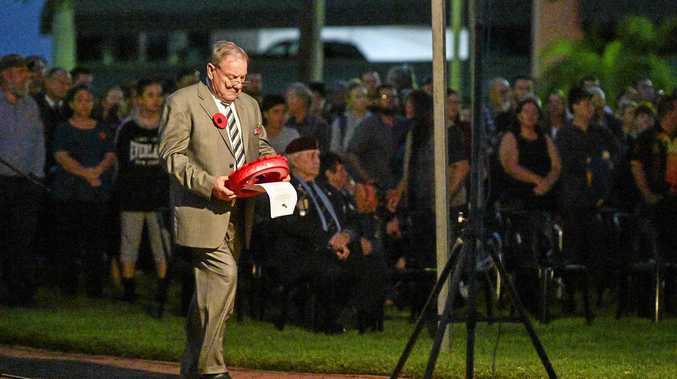 The mother-of-one said a number of residents in her area have also received letters. 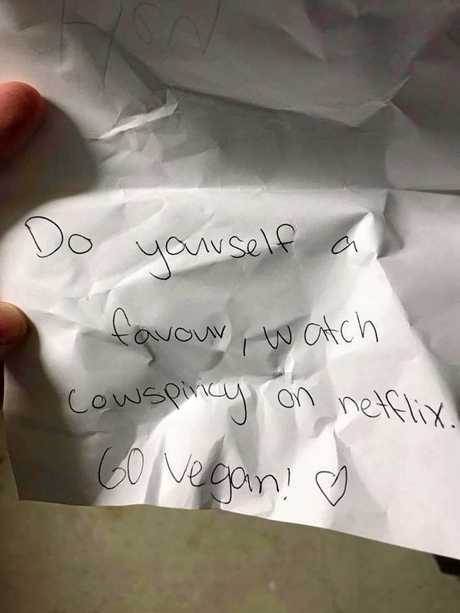 In one note the writer has referred to Netflix documentary, Cowspiricy. The documentary describes the animal agriculture business as the most destructive facing the planet today. "I don't hate animals just because I love a good ol' steak," she said. Her response to the mystery postie was to stop wasting everyone's time. "You're only wasting a bit of paper and wasting your own time. Yes you obviously love animals but not the trees," she said.